Jet Airways is starting Mumbai-Manchester flights on November 5. 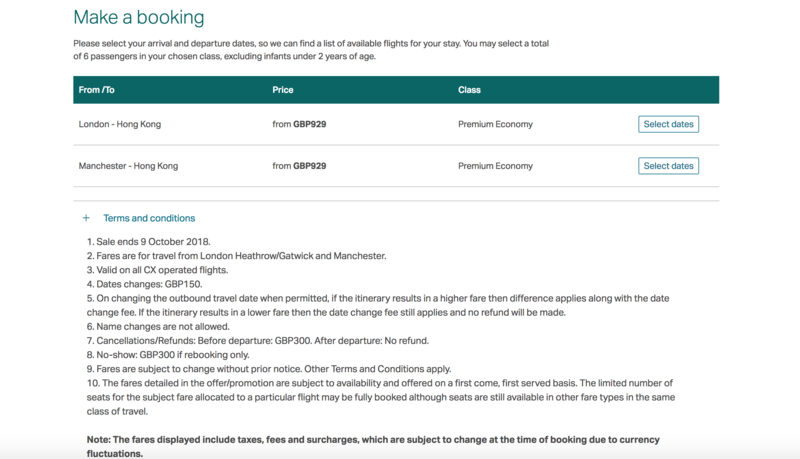 Its website promoting a both fares from £389 return and a free baggage allowance of TWO pieces of checked luggage (each of up to 23 kilos). There may also be special rates for premium classes on this route. Best check with Jet or travel agents as they may have promo offers. It may not be new … but I also see Jet has now emulated Etihad and will accept bids for upgrades. Check for details. Air France needs all the revenue it can get right now. It has launched ‘Oh LaLa’ offers which must be booked by September 17. These deals are attractive because they are available from the UK right across the Air France network. They are offered in all classes with the exception of first. And as can be seen the prices, now displayed on its website, are keen. Air France does not name specific travel dates and blackout periods. All the airline is saying is that these will vary. It is only fair of me to remind you that the current industrial dispute at Air France remains unsettled. No further strike dates have been announced at the time of writing. But please bear this fact in mind. For travel between 15 September 2018 to 31 May 2019. Available in both Business and Economy Class, the fares can be booked through Finnair.com until 30 September 2018. Finnair flies from London Heathrow, Manchester and Edinburgh to 19 destinations across Asia via Helsinki. The promotion includes enticing destinations such as Singapore and Hong Kong. 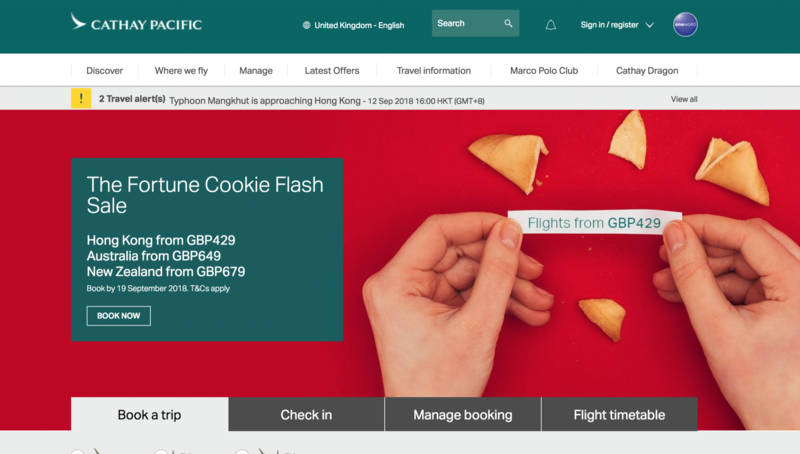 Customers can explore the bustling city of Hong Kong with fares from £459 return in Economy Class while foodies can discover Singapore’s diverse food culture with fares to Singapore from £449 return in Economy Class. Customers can fly from the UK to an array of popular destinations via Helsinki, with many flights operated by the airline’s fleet of new, state-of-the-art Airbus A350s, offering unparalleled levels of comfort and spacious cabins with Finnair’s famed Nordic design and contemporary style. I think these refer to domestic flights in FR with AF. Might be useful for someone. every holiday comes to an end. But this is no reason to be sad because Sixt has the perfect offer to get back to daily business: Book a car in Saudi Arabia now and save up to 20%*! Sadly if ever the word “FROM” personified disappointment its in airline pricing policy. Spent 30 minutes this morning researching my next trip to HK from my local airport. Using different links to various airlines claiming to have sales on proved fruitless. BA ‘s sale came in at double QR’s price. Even odder, by using Google flights I found a BA & Finnair combo (EDI-LHR-HEL-HKG ) for half the price of a single BA routing via LHR !! Easyjet is releasing its latest seats tomorrow (Thursday 20 September) from 6am. These are for travel from March 25 to June 23, 2019. And the next date (thanks to Money Saving Expert for this bit) is next Thursday, September 27, 2018, for travel for the summer holidays next year – June 24 to September 1, 2019. It’s a Eurostar promotion … but I’m placing it here as Eurostar considers itself as an airline. These promo fares are valid for groups of two or more. Valid London to Amsterdam/Brussels/Paris on selected dates in the coming months. Perhaps ideal for a pre-Christmas office outing ? Apologies. Here’s the Loco2 link. SAA has a ‘special’ on. Not much use as it has to be booked before 25SEP, I only got the email today at 1535! Fares are for midweek travel Monday through Thursday. A surcharge applies for travel on Friday/Saturday/Sunday. Valid for travel 28 OCT 18 – 13 DEC 18, 14 JAN 19 – 31 MAR 19, 22APR 19 -30 JUN 19. Prices are subject to availability and must be purchased at least 7 days before travel. Fares require a Saturday night stay. Fares are changeable for a fee and are non-refundable. OK, this may not suit everybody, but for me this is terrific value for money for my next ex-Europe ticket & thank you to my superb TC, who some of you know. All on that dated product, poor service, rude staff, overpriced, home at horrible T5, rubbish lounge BUT, very comfy seat for sleeping… and with a 9pm take off, instead of 6.20pm (for the 380 service), virtually guaranteed 8 – 9 hours of sleep (says me hopefully)…. @martynsinclair Do you mean 520 Tier Points? @mkcol74 – aha. my typo, yes 520 TIER points…. “From today, until the end of the year, you can collect double Avios on your next ten flights. So whether it’s visiting loved ones, a last minute work trip, or sneaking in the last weekend away of 2018, your time away will be even more rewarding. I had been looking at Hainan Airlines ex UK, but CX would have the most suitable times. BA would also work. Interesting to see Martyn’s comments re BA seats. Flew back from HKG on Monday on CX A350 and I thought the seats were better than BA for sleeping, but not as good for sitting. We all have different backs and posture.